The Colts Neck Road underpass will soon get its long-awaited makeover. 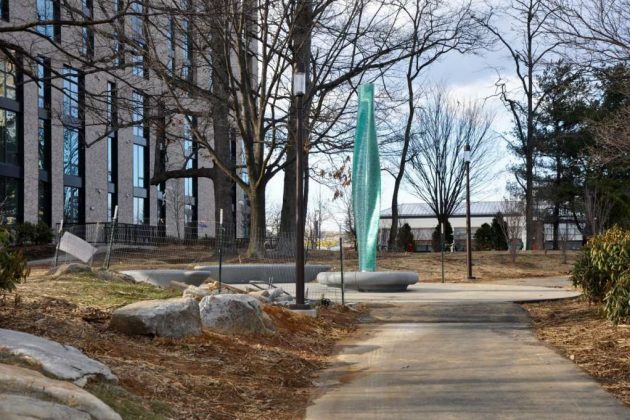 Public Art Reston recently awarded a contract to Philadelphia-based artist Ben Volta to create permanent public artwork for the underpass. 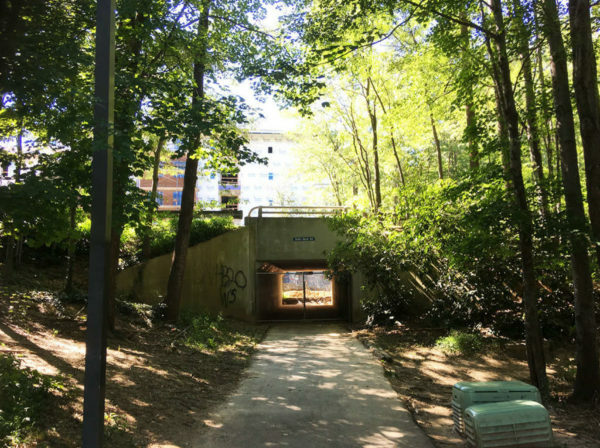 When selecting the artist, Public Art Reston sought someone who could “address the spirit of the Hunters Woods Neighborhood; respond to the cultural diversity of the community; and develop an artwork that identifies the underpass as a civic facility within the fabric of the surrounding neighborhood,” according to a Public Art Reston press release. Public Art Reston’s Executive Director Anne Delaney said that Volta stood out because of his previous community engagement coupled with his powerful and colorful art. 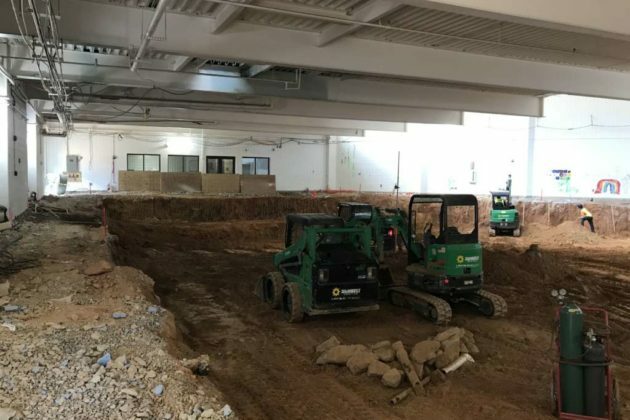 Known for his public murals and sculptures, Volta will work on the project with the Dogwood and Hunters Woods elementary schools, in addition to partnering with Hunters Woods at Trails Edge, a soon-to-open senior living facility. 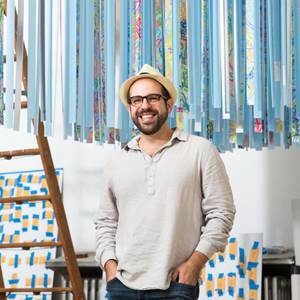 Volta, who is familiar with working with students in participatory art creation, told Reston Now that he plans to engage with kids in the classrooms with the hope of brainstorming an idea, color or shape that will then get incorporated into the art. Right now, he is working to get the design done before summer break starts for the kids. He has started making several planned site visits, where he also meets with students, teachers and administrators at the two schools. 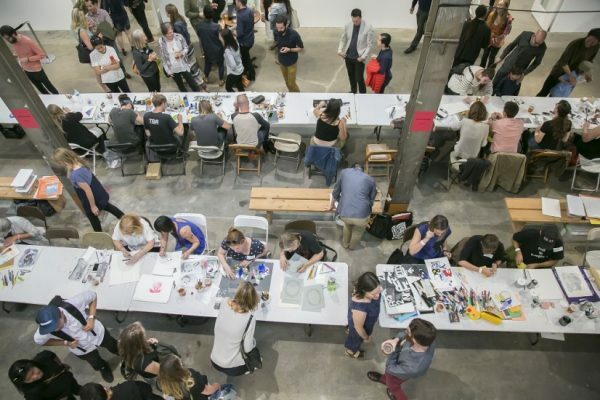 “I like to start with the site,” Volta said about his artistic process. 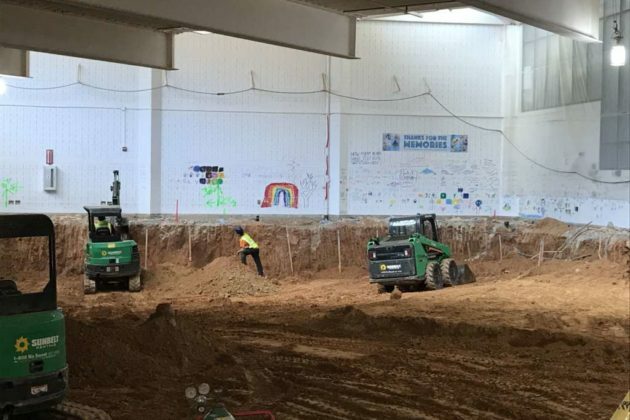 While the Colts Neck underpass was “dark with lots of mud everywhere” on his first visit, Volta said he’s been thinking about how the tunnel’s purpose as a passageway between the two schools can lead to a transformative experience for people who enter and exit it. “Really, the site has a lot to say because of the way people experience it,” Volta said. 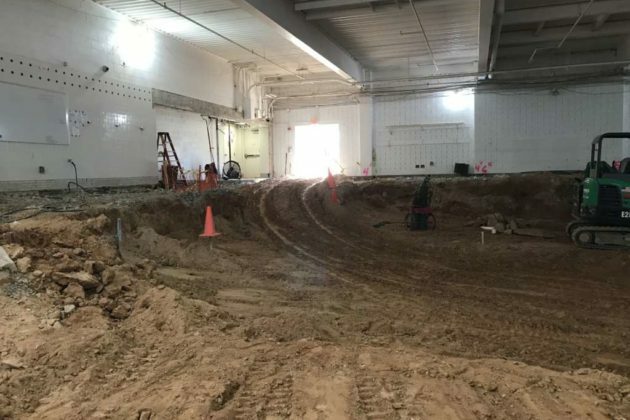 The project has an anticipated installation in the summer so that the artwork will be ready for when students return to classes in the fall, he said. 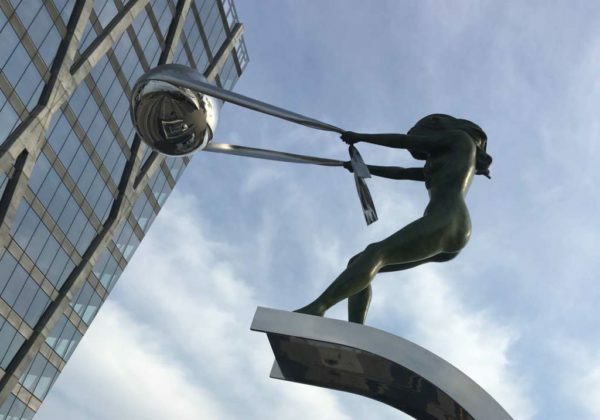 The Greater Reston Arts Center has pushed back the completion of a new 50-foot steel sculpture in Reston Town Center from this fall to spring 2019. Reston Now previously reported the installation and an opening ceremony were expected in August. 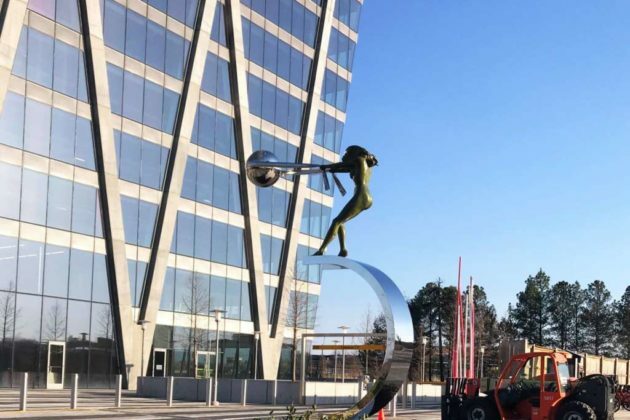 Now, the sculpture’s anticipated unveiling is set for spring after the project faced construction delays, Lily Siegel, executive director and curator of the Greater Reston Arts Center (GRACE), told Reston Now. “As we embarked on [the project], things have shifted and got a little bit delayed,” she said. 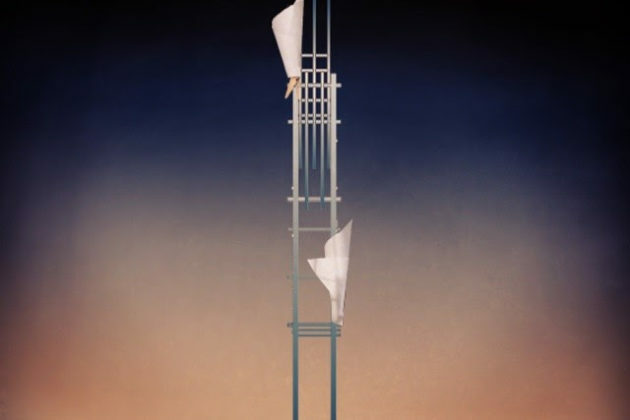 Titled “Buoyant Force,” the sculpture by artist Sue Wrbican is inspired by the work of Kay Sage, an American surrealist who was known for her paintings of scaffolded structure and furled fabric in barren landscapes. GRACE previously featured Wrbican’s work last fall. 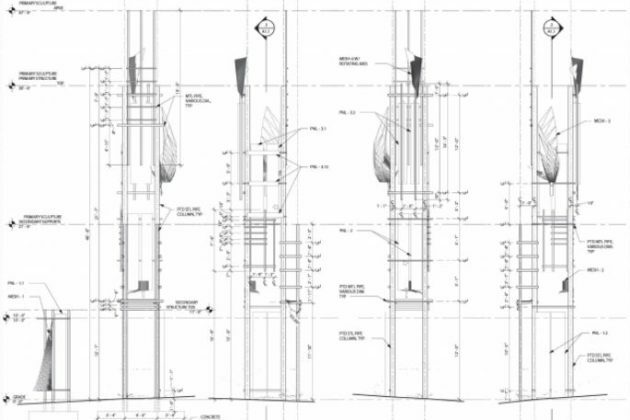 Currently, the sculpture is being fabricated by two fabricators. The main 50-foot piece is getting welded together at one fabricator’s shop in Rockville Md. A second fabricator is making other steel structures that will get attached to the sculpture. Both sourced preexisting, pre-fabricated materials at Wrbican’s request. While the main work on the pieces is “pretty much done,” technical details still need finishing before installation. Once the pieces are on site, the installation will require a crane and boom lift, she said. “Buoyant Force” marks Seigel’s first public sculpture — an undertaking that has taught her quite a bit throughout the process. For starters, the project initially planned to have one fabricator, before she decided the work required two people, she said. 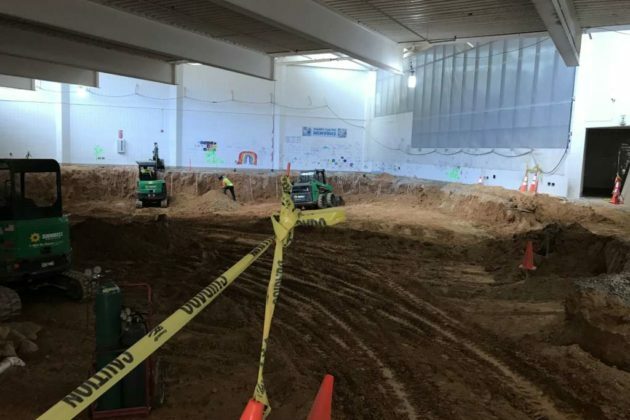 “It’s taking a whole team of professionals to get this done,” Seigel said That team includes architects, inspectors, a concrete team, engineers, movers and — of course — the artist. 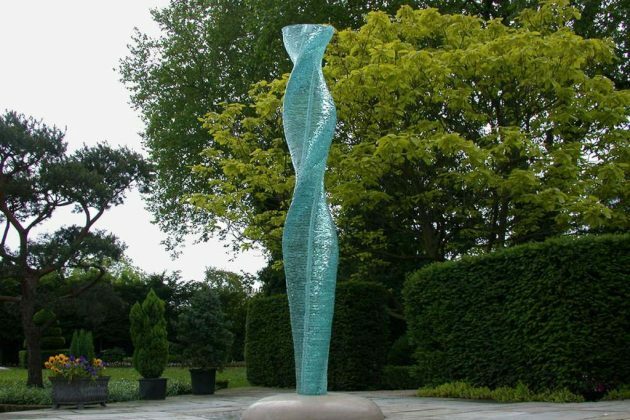 Seigel also took a new approach to fund the sculpture. For the first time, GRACE started a crowdfunding campaign to cover the costs. Locals can donate online. So far, the campaign raised about $50,000 — nearly half of the required funds — in roughly five months, she said. The Reston Town Center Association, Reston Community Center, ArtsFairfax and Public Art Reston are some of the places that have donated. Seigel said the “slow” fundraising efforts are not causing the delay. Additionally, the architect, engineer, concrete company and transportation company are providing pro bono work — a donation of its own kind, she said. Siegel said a community celebration to mark the grand opening will happen. 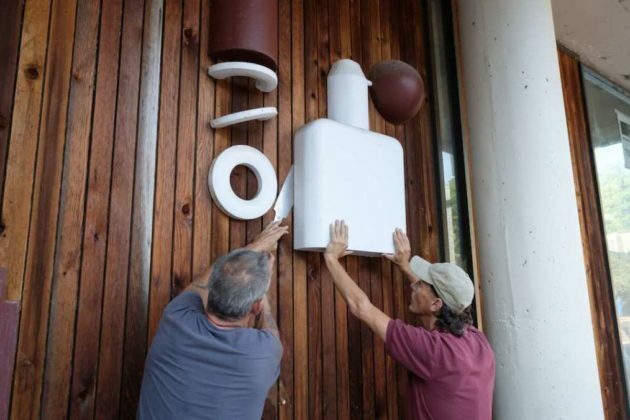 The Reston Historic Trust & Museum has raised $965 in three weeks with its fundraising campaign to reinstall the iconic, quirky pharmacy icons from the Lakeside Pharmacy. The GoFundMe campaign launched on Nov. 8, Alexandra Campbell, the executive director of the Reston Historic Trust & Museum, told Reston Now. The fundraising target of $15,000 will pay for repairs, cleaning and reinstallation of the icons in a new permanent exhibit in the plaza. 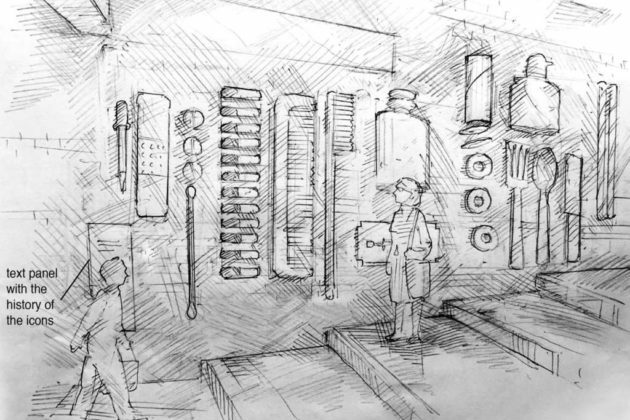 The new exhibit will be unveiled during the organization’s annual Founder’s day event on April 6. 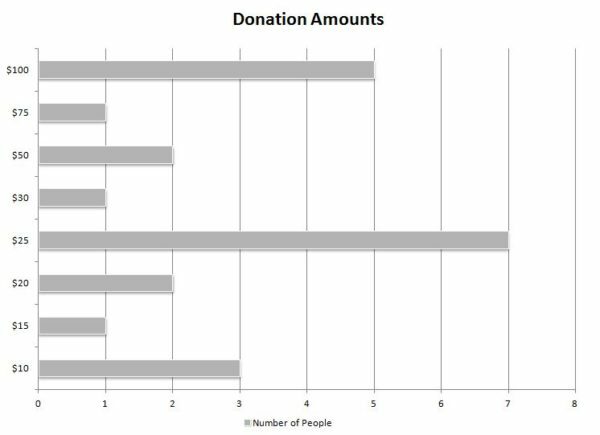 Most of the 22 donations have been small, individual donations — seven people have given $25, while others have donated amounts between $10 to $100. 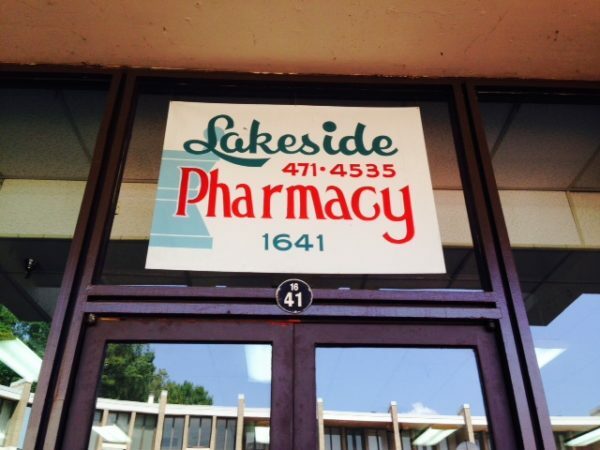 The icons served as advertisements for the Lakeside Pharmacy, a legacy Lake Anne Plaza store. Designed by Chermayeff and Geismar, a New York-based graphic design firm, the icons were inspired by 1960s pop art and Reston’s founder Bob Simon’s wish for whimsical art at Lake Anne Plaza. 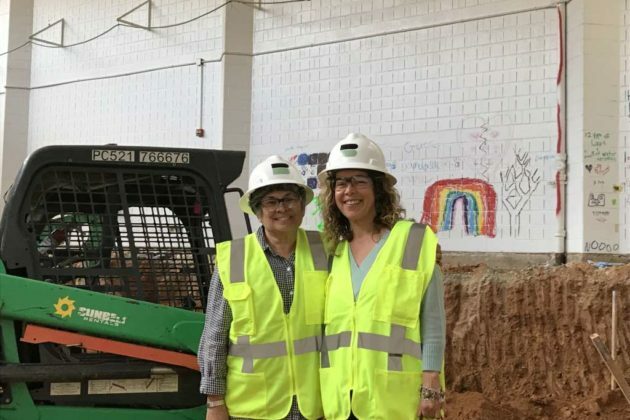 The Lake Anne of Reston Condominium Association donated the icons to the Reston Historic Trust & Museum after they were removed in July to make way for new businesses in the pharmacy’s former location. “We’re really glad to help preserve and keep them here,” Campbell said about the icons. 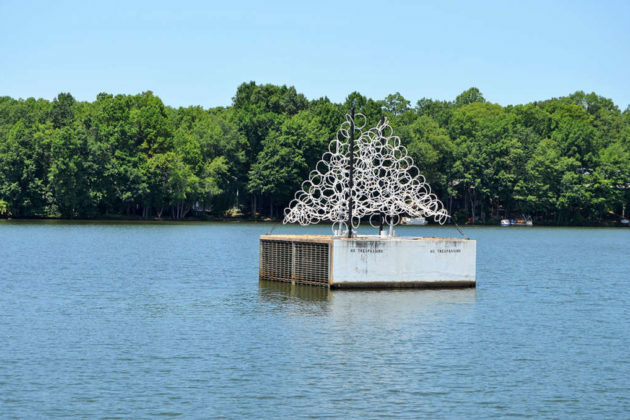 The Reston Historic Trust & Museum has launched an online campaign to raise money to reinstall the lakeside pharmacy icon. Designed by Chermayeff and Geismar, a New York-based graphic design firm, the icons were inspired by 1960s pop art and Reston’s founder Bob Simon’s wish for whimsical art at Lake Anne Plaza. The icons, which served as advertisements for the Lakeside Pharmacy, were removed in July to make way for new businesses to open up in the pharmacy’s former location. The fundraising target is $15,000 to repair, clean and reinstall icons in a new permanent exhibit in the plaza. The new exhibit will be unveiled during the organization’s annual Founder’s day event on April 6. The New York graphic design firm of Chermayeff and Geismar (now Chermayeff, Geismar & Haviv), was hired by Whittlesey & Conklin, the architects of the plaza, and together they created the storefronts on the plaza. 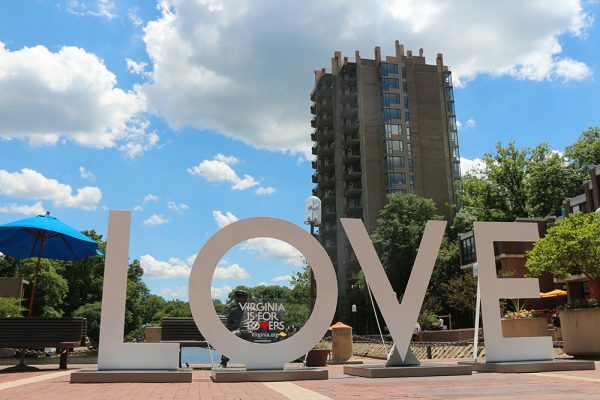 While the main purpose of the Lakeside Pharmacy icons was advertising, the icons are characteristic of the 1960s Pop Art aesthetic and reflected Reston’s Founder Bob Simon’s wish for whimsical artwork on the plaza. The building was a pharmacy for 44 years, closing in 2014. Since the building will soon be occupied by new businesses, the icons were donated to the Reston Historic Trust & Museum in order to preserve them. Currently, the icons are in storage until they can be cleaned and reinstalled. 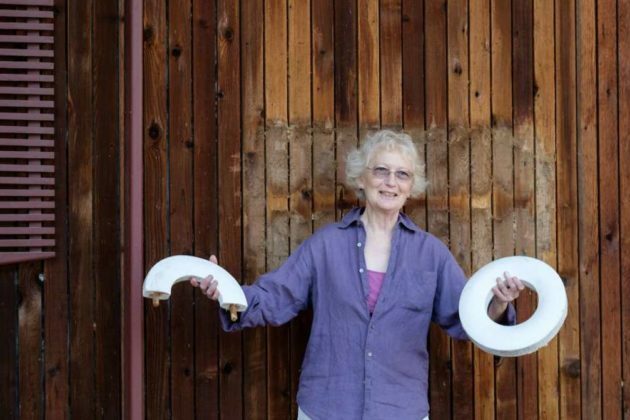 The installation is being designed by Jeanne Krohn of Krohn Design. Public Art Reston will celebrate its 11th birthday with an annual ‘PARty!’ on Oct. 18 (Thursday) from 6:30-9:30 p.m. Unlike previous years, limited-edition artwork will be available for sale, with all proceeds benefiting Public Art Reston. 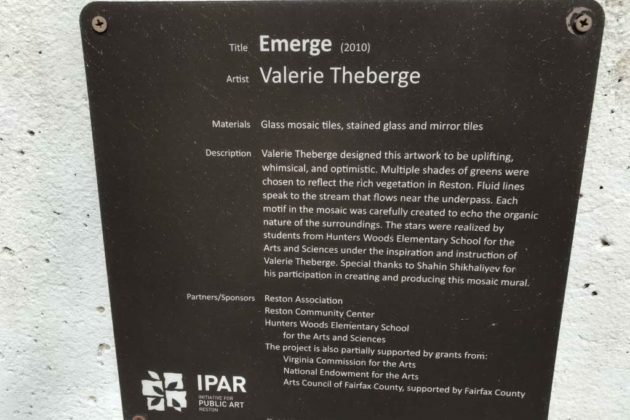 The program will be launched with photographs of sculptures at Lake Anne Village Center by Reston-based artist and photographer Charlotte Geary, according to Chelsea Rao, chair of Public Art Reston’s reception committee. “The 2018 Annual PARty! 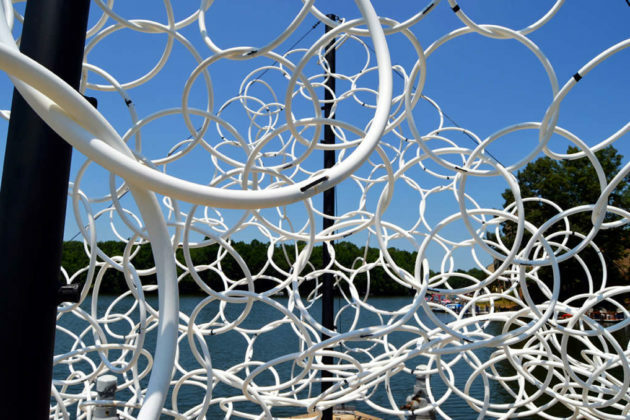 offers attendees a fun opportunity to celebrate the public art of Reston, the ongoing initiatives of Public Art Reston as well as its sources of inspiration,” Rao said. This year’s event will also celebrate the 10th anniversary of the adoption of the Public Art Master Plan for Reston. The master plan was adopted by the board of Public Art Reston in December 2008, solidifying the organization’s commitment to ensuring the planning process integrated public art in a manner that enriched community life and spirit. 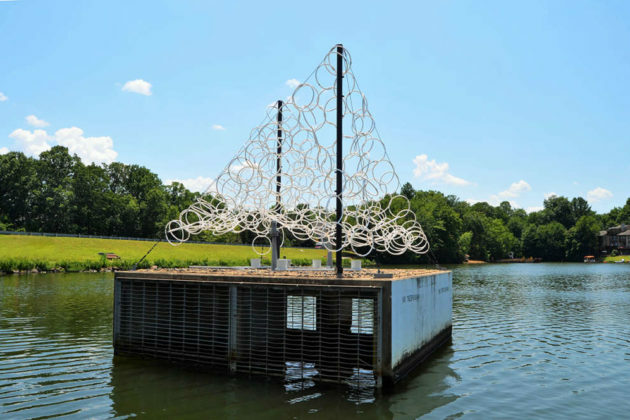 Since 2008, a dozen permanent artwork and another dozen temporary installation have been commissioned in Reston. 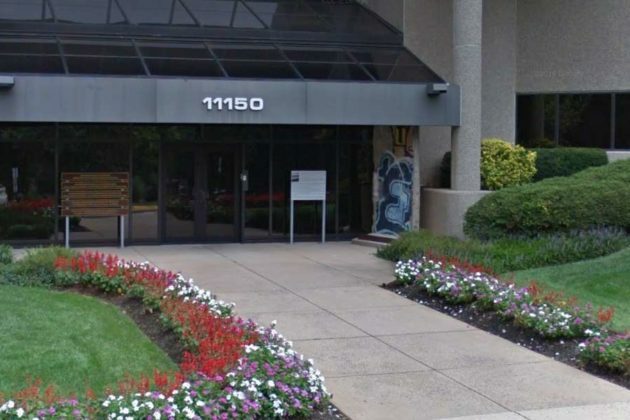 The event will take place at Comstock’s Reston Station on the 16th floor. It’ll include a cocktail party with catering by Ridgewells and an art installation created by Marco Rando, a local artist, teacher and Public Art Reston board member. “The installation design is intended to visually play with the raw space of the Jahn building. The geometric forms are created to be an illusion of a three-dimensional space. At first glance, the lines creating polygons are received as correct proportions, but with closer examination, one discovers the optical illusion. The colored lines are intended to enhance the playful and whimsical overall design,” Rando said. Tickets, which can be purchased online, are $60, two for $100, and $55 for attendees 25 and under. It’s no secret that the Colts Neck Road underpass could use some sprucing up. Public Art Reston is looking for artists to create a site-specific artwork to enhance the inside and outside walls of the underpass. 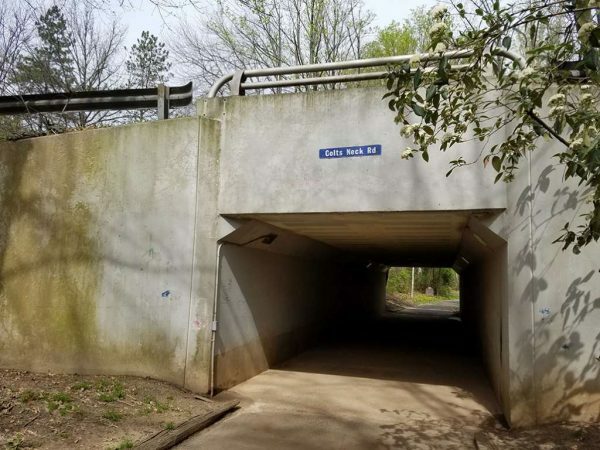 Artists should capture the spirit of the Hunters Woods neighborhood, respond to the cultural diversity of the community and identify the underpass as a “civic facility” within the surrounding neighborhood, according to a description of the call to artists issued by the organization. The project will promote active use of the underpass that links residential areas, Hunters Woods Village Center, two schools, two senior facilities, and two community centers. 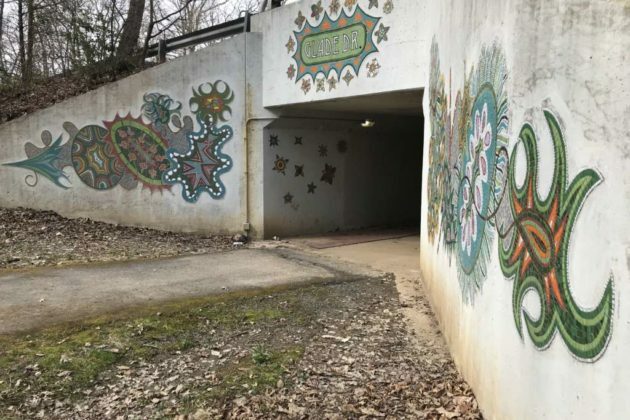 At the Colts Neck Road underpass, public art will have the opportunity to enhance the community’s relationship to their infrastructure and encourage active transportation options such as walking and cycling. The artist will actively engage with community stakeholders to develop the concept of the artwork and will give workshops to students. This project is an opportunity for infrastructure beautification, education, engagement, and inspiration. 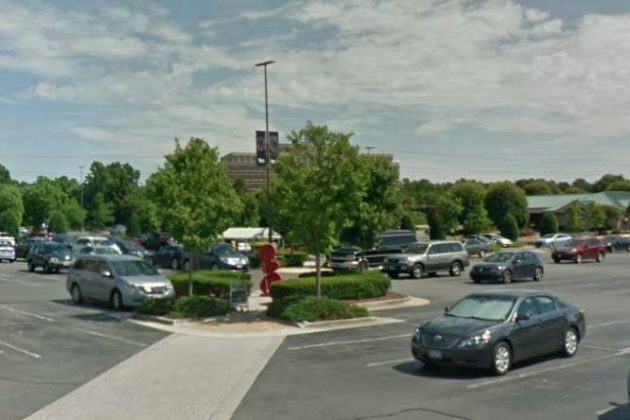 The project is in collaboration with Reston Association and Atlantic Realty Companies. The deadline for entries is Oct. 26. Entries can be submitted online. 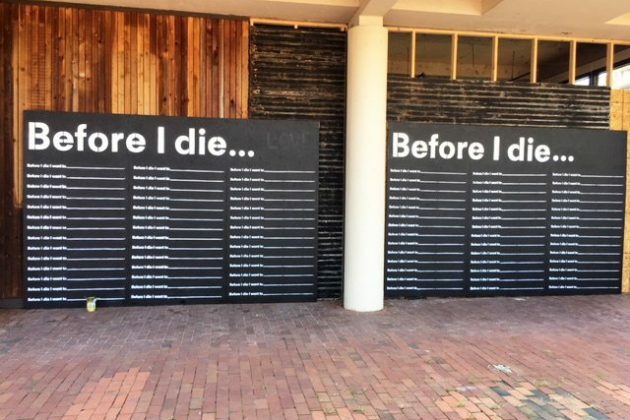 Two bold black and white chalkboards are up at Lake Anne Plaza, challenging passers-by to write down what they wish to do or achieve before they die. The public art installation, called Before I Die, is a temporary public art installation as part of the run-up to the 12th annual Jazz and Blues Festival at the plaza this Saturday (September 1). The festival is free and open to all ages. The community project was started by artist Candy Chang in New Orleans. Chang created the project to examine the way “the wall of our cities can help us grapple with death and meaning as a community today.” After undergoing grief and depression following the loss of a loved one, Chang covered a crumbling house in her neighborhood in New Orleans with chalkboard paint and stenciled the prompt, “Before I die I want to.” Since then Before I Die walls have popped up in more than 70 countries, including China, Brazil, Kazakhstan and South Africa. 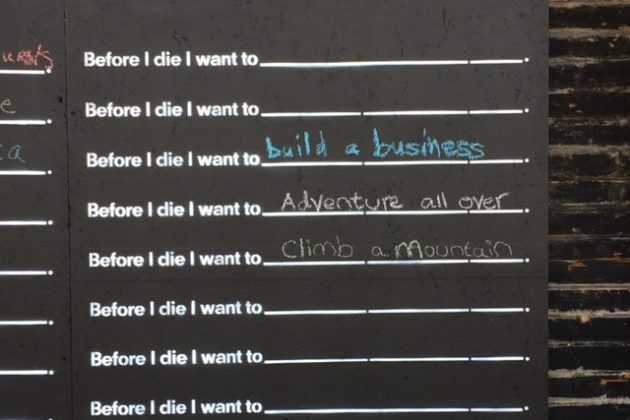 So far, the display in Reston includes wishes and goals like building a business, climbing a mountain and adventuring all over. It will be on display until September 10. 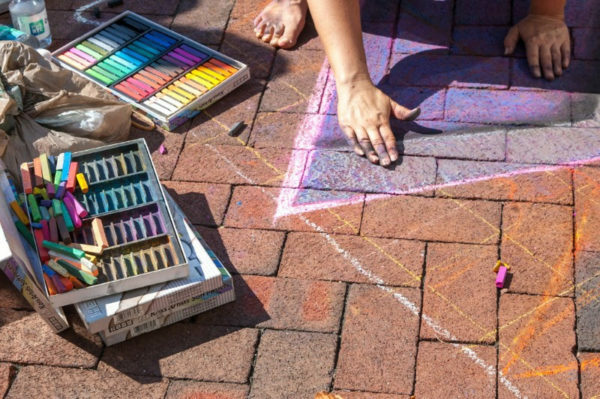 Artists of all ages and skills levels can now save the date for the annual ChalkFest at Reston Town Center. The annual street art festival invites artists to transform RTC’s Market Street with chalk drawings. Registration is now open and artists can register in the following categories. Prizes will be awarded for each category, as well as audience chance awards. This year’s sponsors include Boston Properties, Reston Community Center, Fairfax County Government, Reston Association, Cooley, and Leidos. “Connie’s Quilt,” an art project by students at South Lakes High School, now blankets a portion of Lake Thoreau. The structure was created by the school’s Science, Technology, Engineering, Art and Math (STEAM) club. It is made of galvanized metal, airplane cables, tubing, connectors and cable ties. 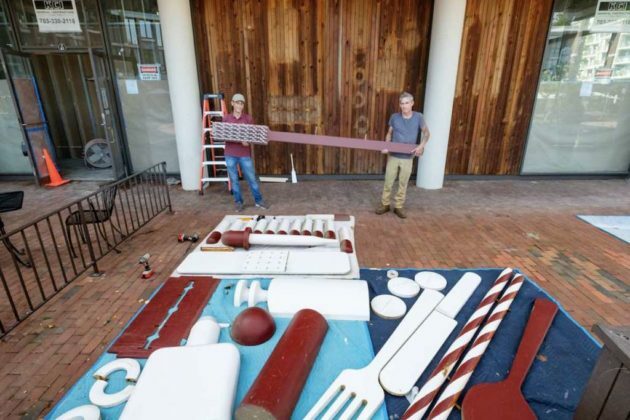 The project aims to represent community connections and the notion that the self-made man does not exist, according to Public Art Reston. Reston Association, Public Art Reston and SLHS partnered to make the project possible. Virginia’s “LOVE” letters are making a comeback to the Lake Anne Plaza from May 31 through June 7. The letters statue is known for photo opportunities. Lake Anne Brew House is encouraging locals to come to the plaza for the statue and to stay for local events on the plaza including a Pride Night event held at the brewery on June 1 from 4-11 p.m.
June is LGBTQ pride month. It was established to honor the 1969 Stonewall riots in New York City, during which patrons and supporters of the Stonewall Inn protested to resist the harassment and persecution of LGBT Americans by the police, according to the Anti-Defamation League. Reston has other events in store for the month, including an inaugural Pride Festival, led by the Unitarian Universalist Church in Reston. 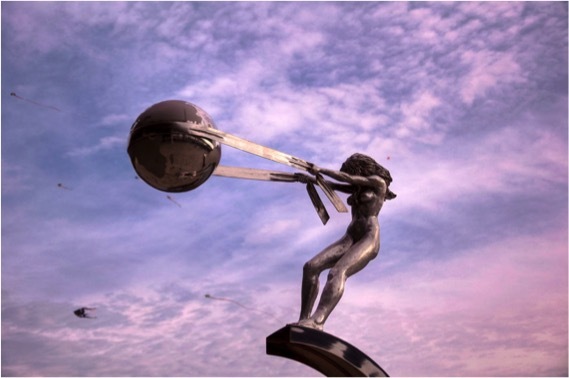 A cast bronze sculpture inspired by the power of Mother Nature was installed at Reston Station Plaza this month. 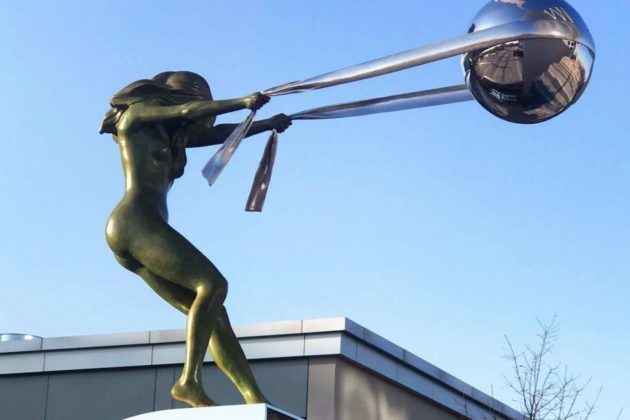 The piece, “The Force of Nature,” is by artist Lorenzo Quinn and is located on the north side of Wiehle-Reston East Station. “We humans think of ourselves as supreme beings, above all others and in absolute control of our destiny and our surroundings. We live with a false sense of security only to be awakened by Mother Nature’s fury, almost as if she needs to remind us of her presence and our responsibility towards her child (The Earth). After having seen the ravaged coast of Thailand and the Hurricane that affected the Southern States I decided to create a sculpture dedicated to Mother Nature. This would be reminiscent of the early statues made as peace offerings to the Gods in the hope of quenching their anger.